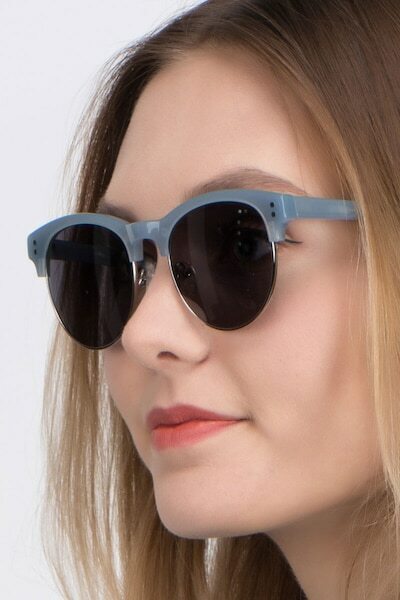 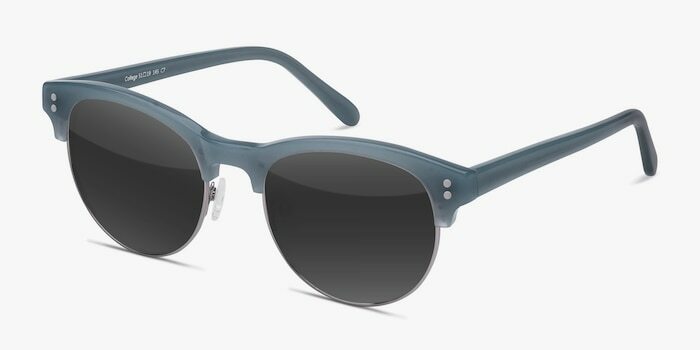 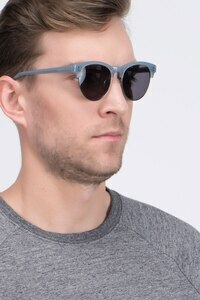 These sky blue College sunglasses will make you feel like you're walking on air. 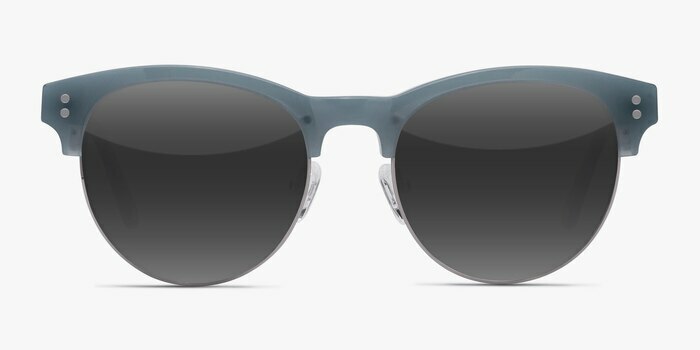 The premium full-rim acetate and metal finish is expertly combined with a clubmaster design, classic round shape, and mirror-silver shades to create a cool, casual frame that looks fantastic with any outfit. 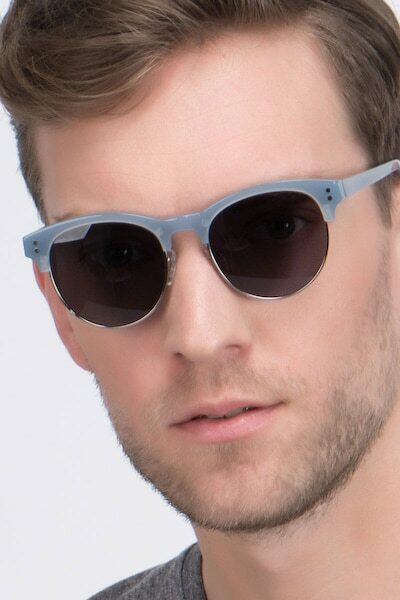 Double stud metallic accents add the finishing touch to this youthful yet sophisticated frame. 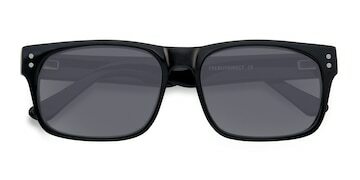 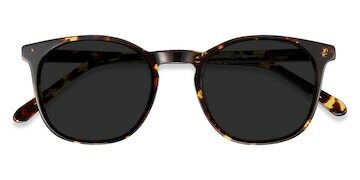 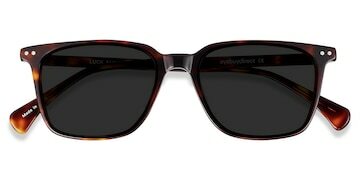 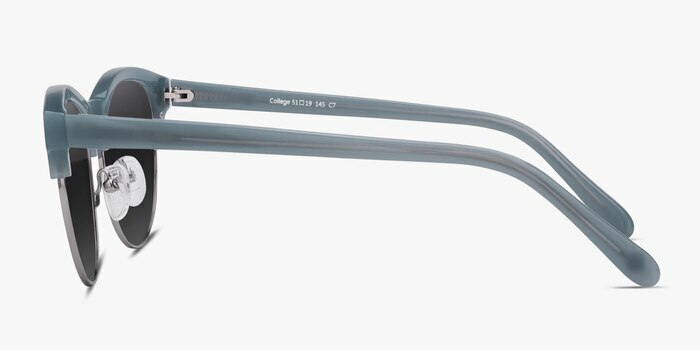 I ordered these with progressive lenses. 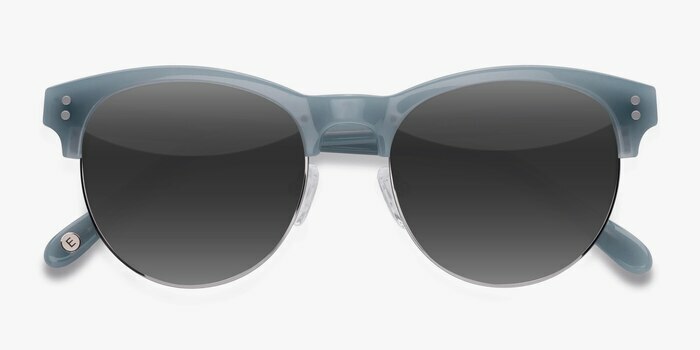 I am very satisfied with the glasses and frames.